Driving while under the influence of drugs or alcohol are serious criminal offenses and can be punishable by the full extent of the law. You need a confident criminal defense lawyer on your side who will help you explore all of your legal options and the next steps you will take if you are facing a DUI charge. At the Law Offices of Brian A. Newman, we provide dedicated and thorough legal assistance for all levels of crimes to Torrance, South Bay and all of Los Angeles County. There are various circumstances in which a police officer can arrest you for DUI in California. If you are over 21 and are caught driving with a blood alcohol content (BAC) of .08 percent or more, or if you are under 21 and have a BAC of .01 or higher, were carrying unsealed alcohol in the vehicle, or consuming alcohol of any kind while driving, including cough syrup, or on prescription drugs, you could be arrested for driving under the influence. Typically, most offenses related to driving under the influence are charged as misdemeanors. If there were any “aggravating factors,” however, the charge could be bumped to a felony. Aggravating factors include death or injury to another party, the accused has three or more previous DUI convictions within a 10-year period, or if the accused has at least one prior felony DUI conviction. 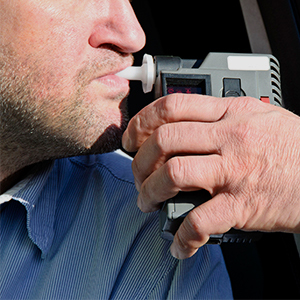 When a person is arrested for DUI, the arresting officer is required by law to immediately file a completed notice of license suspension or revocation form to the DMV, which then automatically begins an administrative review of the officer’s report, the suspension and any drug or alcohol test results. If the review shows there is no basis for suspension, the order will be nullified and the suspension or revocation dismissed. However, the state is awarded money through fines if you are convicted of a DUI, so don’t risk leaving your case in the hands of the government. Contact the Law Offices of Brian A. Newman today to take an offensive stance against your accusation. If you have been arrested for DUI and have had your license suspended, it’s very important that you contact the California DMV within 10 days of your arrest and request a hearing to contest the suspension. If you don’t, your suspension will automatically take effect 30 days after your arrest. You should also contact a Redondo Beach DUI lawyer who can help you figure out what steps to take next. There are no risks associated with requesting a hearing or enlisting the legal help of a DUI attorney, and in the best case scenario, a good lawyer could even have your suspension thrown out. Don’t let the risk of a DUI conviction ruin your driving record, especially if you believe the circumstances of your arrest are invalid. Contact an aggressive Los Angeles County DUI attorney at the Law Offices of Brian A. Newman to discuss your situation. Together we’ll go through all of the factors surrounding your arrest, and we can figure out if your case is likely to be dismissed. Even if we can’t get your case dismissed, we’ll do everything in our power to give you the best possible outcome for your situation. Don’t let a criminal conviction ruin your driving record. Call a dedicated Torrance, Long Beach, and Los Angeles County DUI attorney at the Law Offices of Brian A. Newman today at (424) 275-4014. We’ll sit down with you and discuss your situation and options. We offer free consultations, so don’t hesitate.